The first step in using Tallyfy is creating a blueprint. A blueprint is a template for a repeatable process. It's like a recipe - it's created once, and then it's repeatable to actually "start doing" work. A blueprint should have all the steps you want future processes to follow. Repeatable processes can be found all over your business. An example of a blueprintis New client onboarding, more are listed below. A process is an instance of a blueprint. 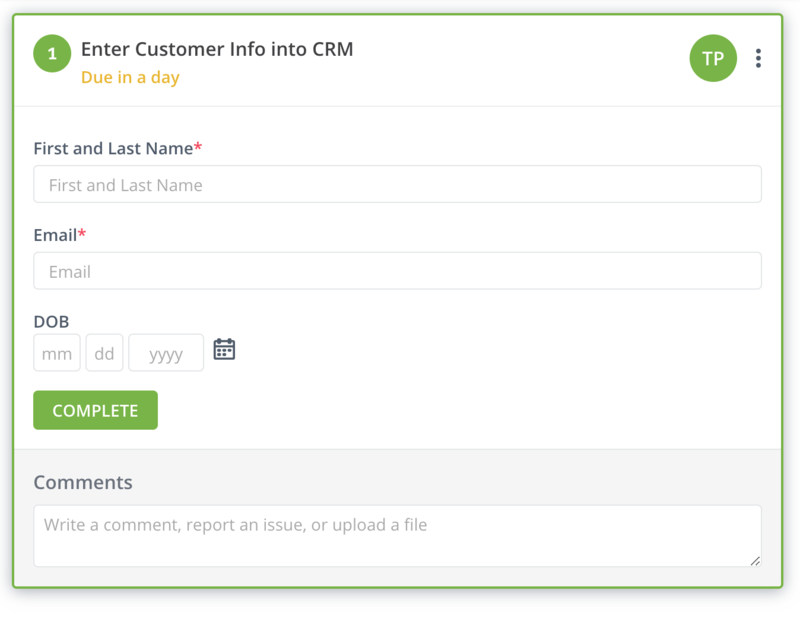 When you start a process, Tallyfy follows the instructions on the blueprint and kicks off a unique process. Each step is assigned as a task. Here's some examples of processes which are kicked off from specific blueprints. 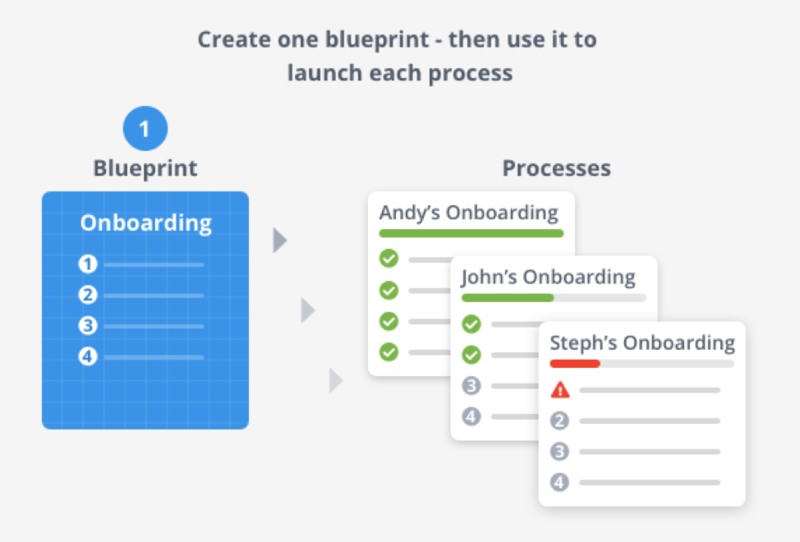 Blueprint is New client onboarding and a Process name would be Lisa McDonald at Acme Inc.
Every time you want to start a process, use a blueprint - which gives you all the steps to kick things off. 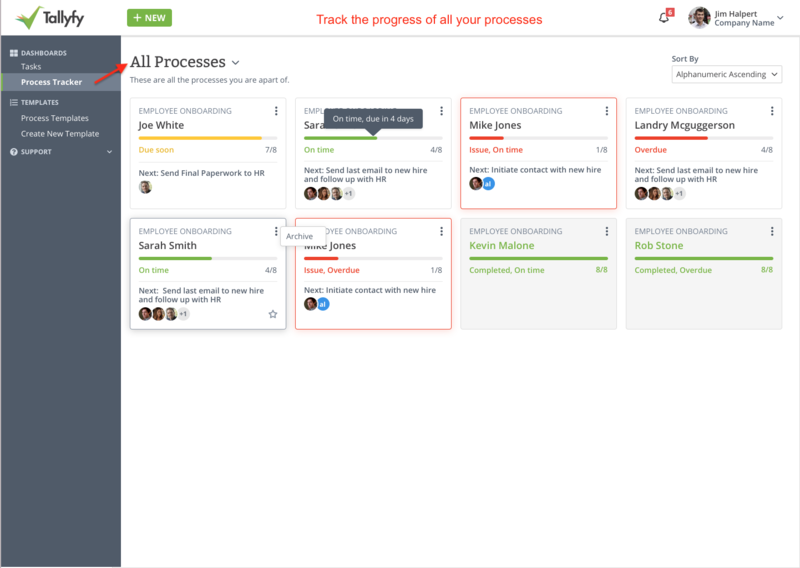 What is a process task? More about tasks can be found here - Process & Tasks. What is a one-off task? Confirm caterer choices for annual employee lunch. ... and any other one-off to-do item!